Pierre Dukan firmly believes that defeat on the global weight loss front is largely due to the absence of weight stabilisation in diets. This is why the Dukan Diet therefore attributes as much importance to maintaining a dieter’s True Weight through a stabilisation phase as it does to losing weight. Our programme provides every member with adequate support through this phase in the form of stabilisation coaching. This often neglected component of dieting is central in the Dukan Diet. We are committed to extending the programme for successful members, for a nominal fee, regardless of any ups and downs and even if they regain some or all of the weight they lost. Permanent stabilisation coaching costs the same no matter how long you need monitoring, updates and regular assessments. 1. Eat 3 tablespoons of oat bran everyday. 2. One PP day per week – Pure Protein Thursday. 3. Take the stairs, not the lift. After your True Weight has been consolidated, you can decide to continue the coaching programme through the stabilisation phase. Daily monitoring helps you diversify your diet while ensuring a continual balance between energy intake and expenditure. Many people don’t succeed at their diet because old, ingrained habits can resurface. In theory, during stabilisation nothing is off-limits and you can eat what you like. In practice, this freedom needs to be managed to prevent weight regain. We’ll help you get there and turn today’s victory into lifelong success. 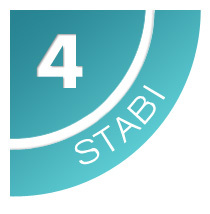 Sign up for stabilisation phase coaching for a token sum of £1 per week. Offer available only to members who have completed the consolidation phase.